The Oder Delta is an extensive lagoon encompassing a trans-boundary area of Poland and Germany of approximately 13.000 km². of land and water. The lagoon is surrounded by large wetlands and small villages in an agrarian culture landscape with a very rich flora and fauna. 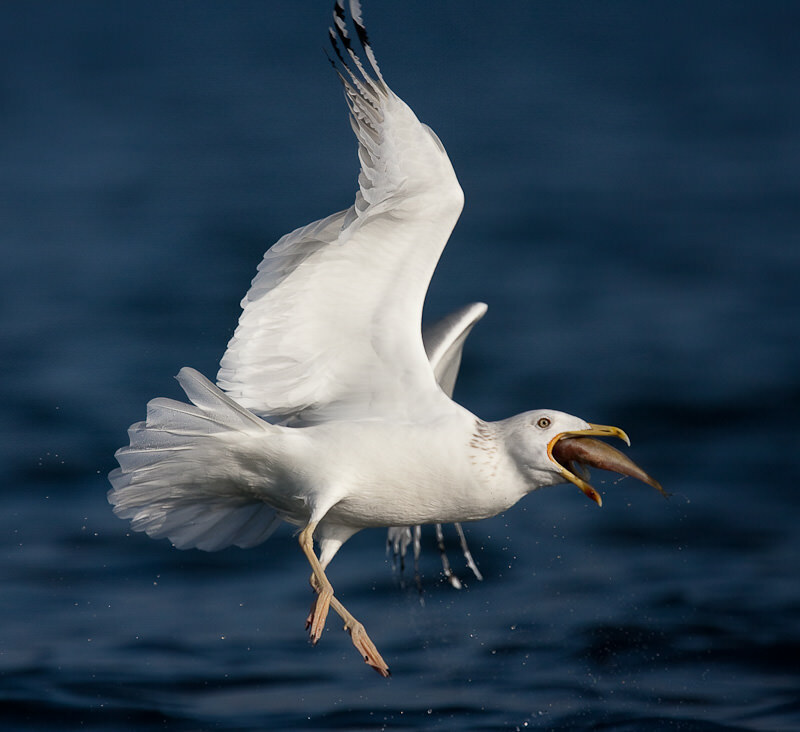 From Kustgids.nl: It is one of the most important resting and feeding places in the Western-Palearctic migration route and it is a crucial link for migratory birds between east and west. 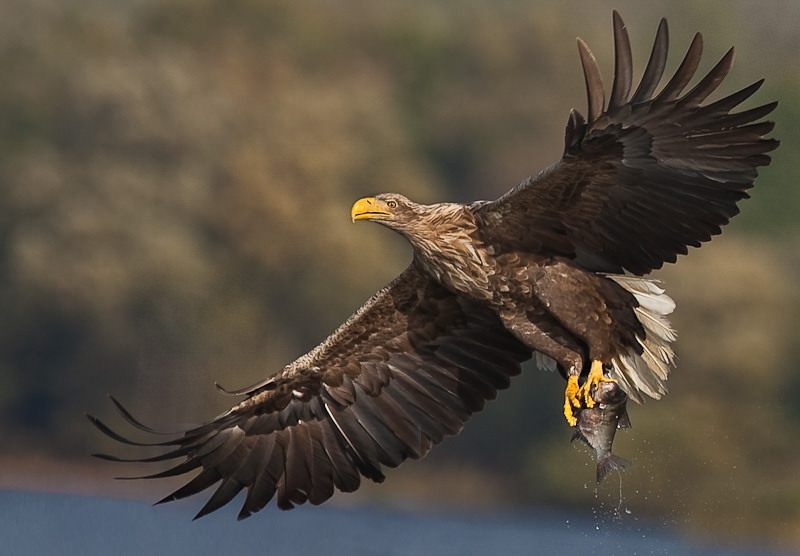 The Polish side of the Oder Delta holds the highest density of White-tailed Eagle in Europe. Nowadays 150 breeding pairs nests in the Oder Delta, which is 25 percent of the total Polish population. The Wolin National Park, one of the main core areas in the Pan-European Ecological Network, can be found here in the north-eastern part of the Oder Delta. The 7th of October 2005 the Oder Delta Nature reserve was officially opened. This 3000 acre reserve is the first reserve in Poland that is not the property of the Polish governement, but owned by a NGO. With a large amount of support from the Netherlands, the Polish branch of the EUCC has over the last 10 years succeded in buying an area of approximately 1200 acres. The rest of the reserve consists of water. We visited the area in October 2009 on a White-Tailed Eagle photo trip with Martijn de Jonge and a small group of fellow Dutch photographers, some of whom had been there before and published great pictures of eagles in flight (see e.g. Bas Breetveld). 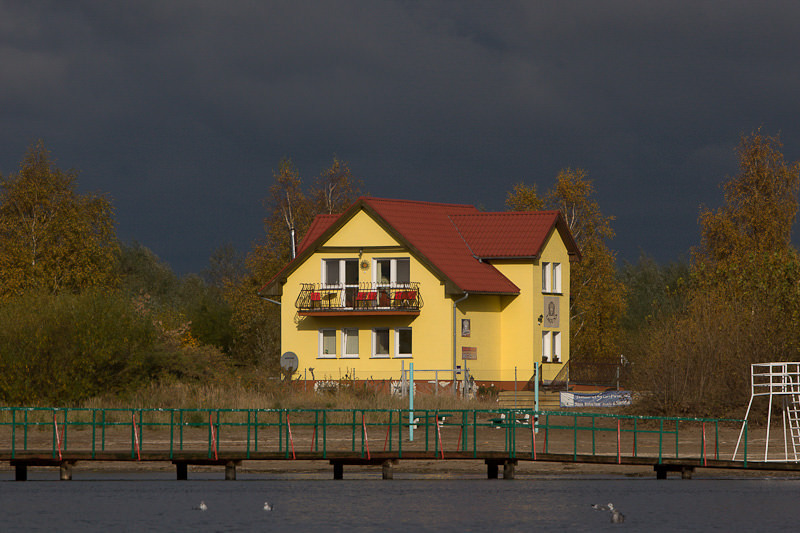 We enjoyed our stay at Frajda, originally built when the area was still under German rule, transferred to communist Poland after the war as part of the compensation settlement and used as vacation colony, and now privately owned. Simple, friendly, spacious, relaxed and located near to a large nature reserve where we observed deer and wild boar, Frajda was the ideal starting place for walks and close enough to Stepnica harbour, from where we took our boat trips along the coast. A very enjoyable trip, with lots of great photo opportunities. Thanks to Martijn, to our Frajda host Magda and to our fellow photographers Bas, Marnix, Bert, Frank, Shirley, Henk, Peter and Jan.